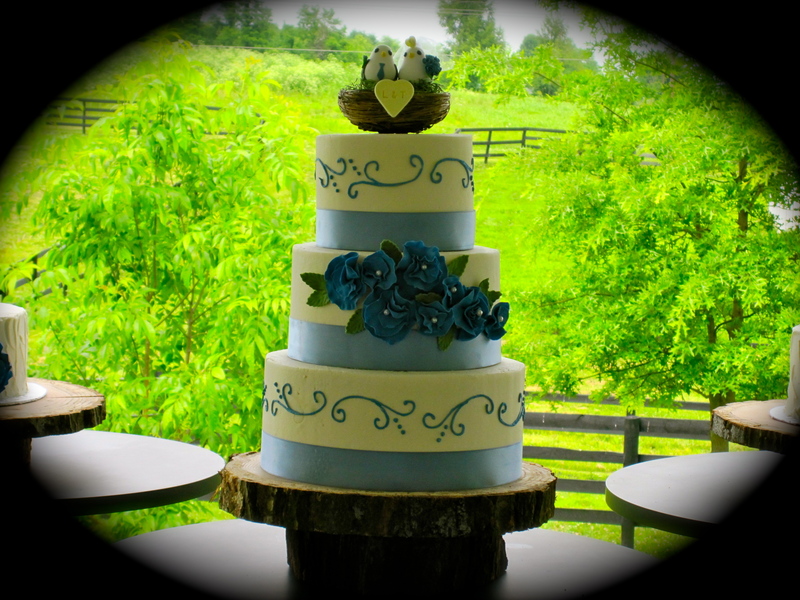 This beautiful delphinium blue and white wedding cake was created for a wedding held at the Ashley Inn in Lancaster, Kentucky. 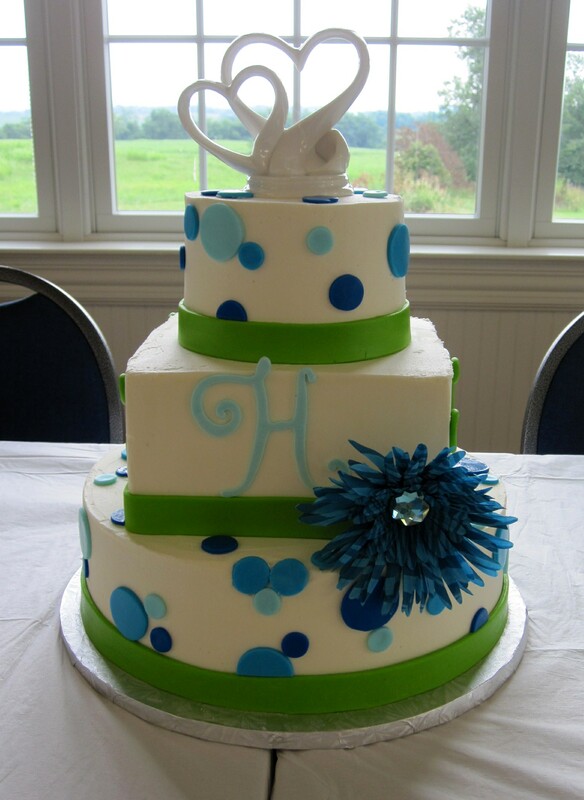 The cake is 3 tiers of buttercream icing with a satin ribbon, gum paste flowers and blue piping. 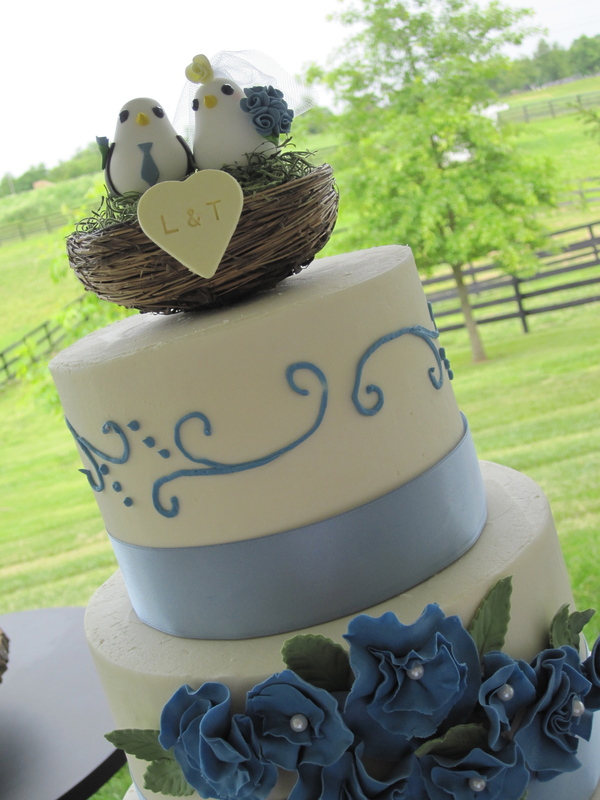 The cake is topped with a lovely bride and groom birds nest. 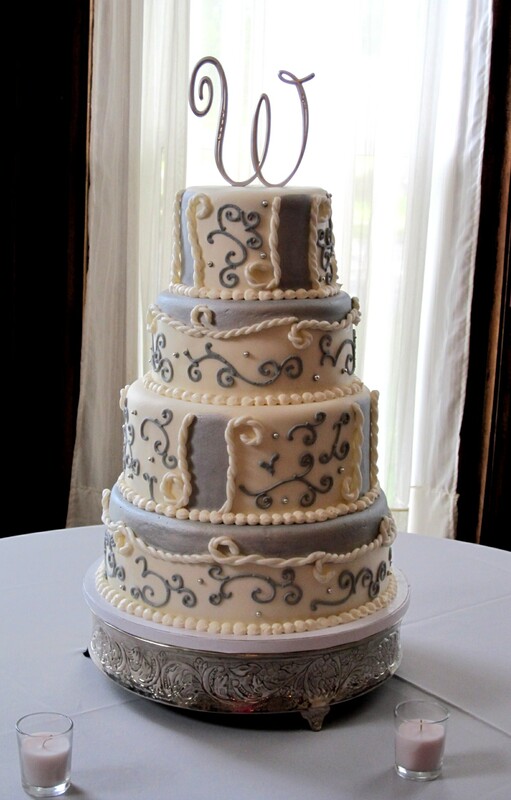 The wedding cake was accompanied by two smaller cakes that were designed similarly. Each tier of the cake was a different flavor. Including white and chocolate cakes with chocolate ganache and fresh strawberry fillings. 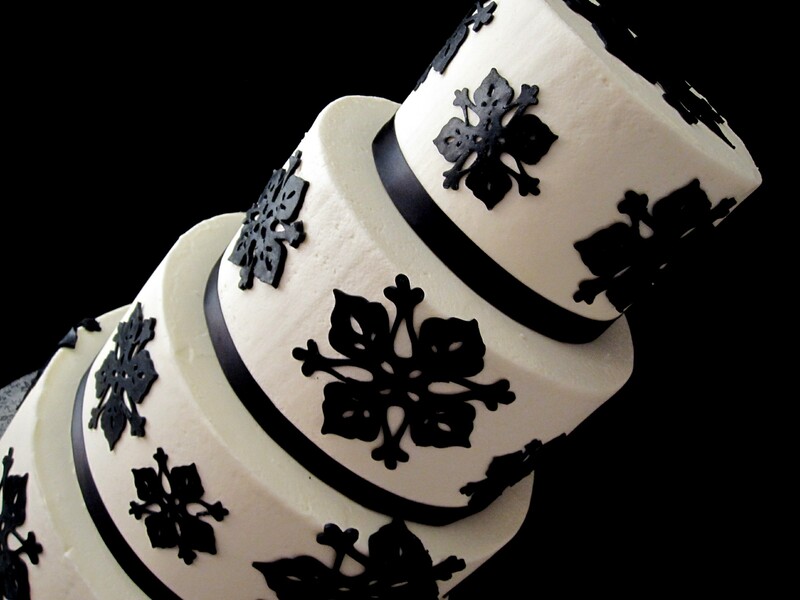 This beautiful black and white damask print wedding cake was created for a bride and groom in Stanford, Kentucky. The wedding reception was held at the Stanford Community Arts Center. 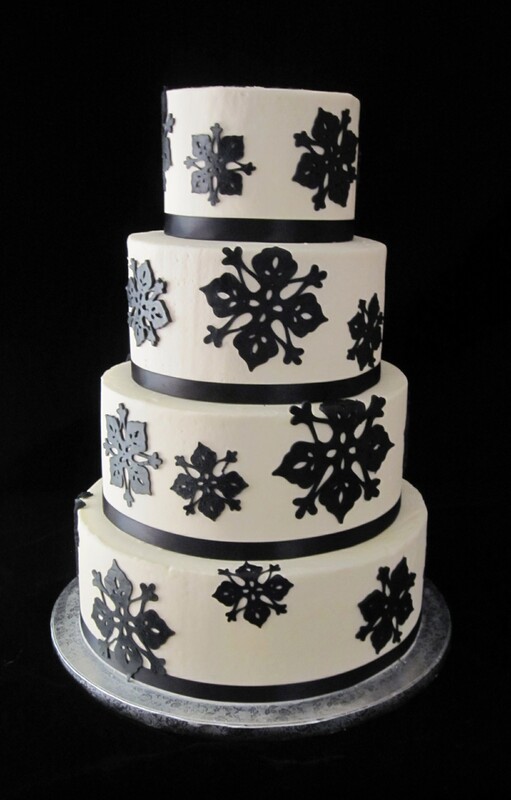 The cake was iced in champagne buttercream and adorned with black fondant cutouts. The 4 tier cake was champagne with fresh raspberry filling. Mini vanilla cheesecakes accompanied the bridal cake. 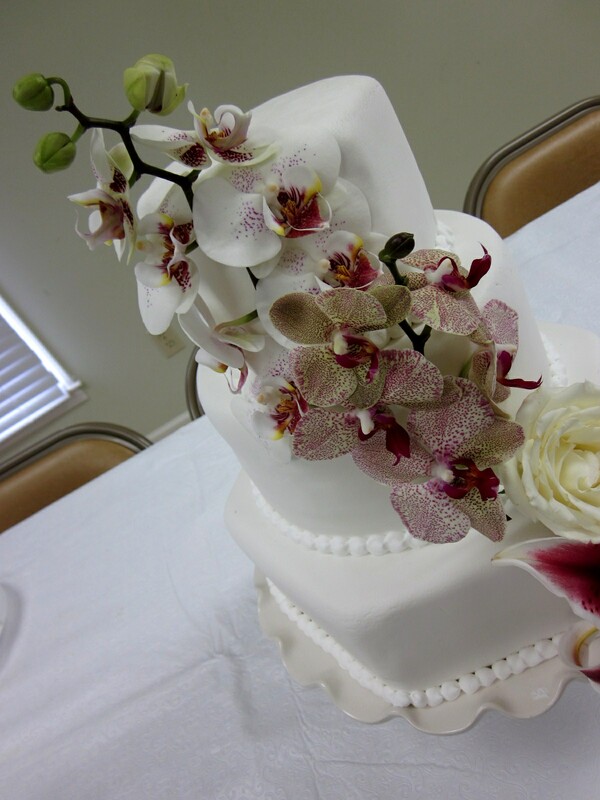 To schedule a complimentary wedding consultation and tasting, please call The Twisted Sifter Cake Shoppe at 859-238-9393. 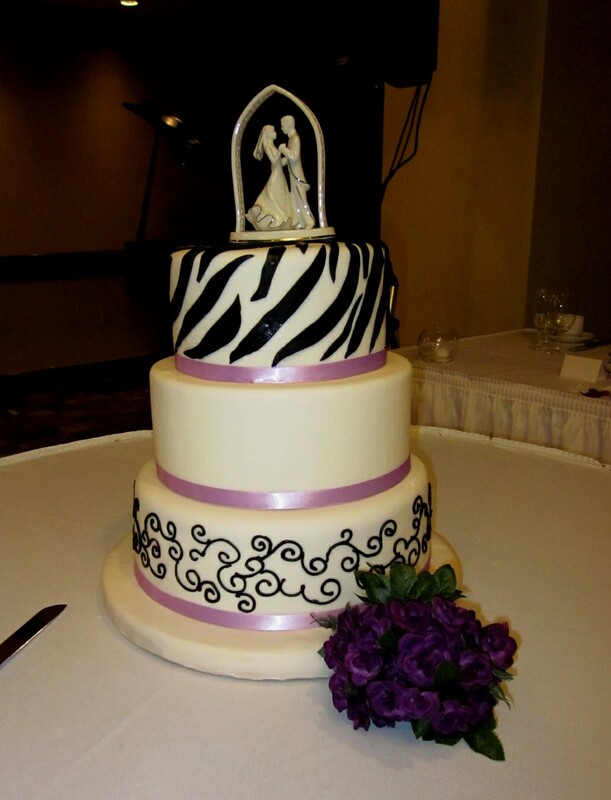 This cute black and white zebra print wedding cake is accented in purple and piped in black royal icing. 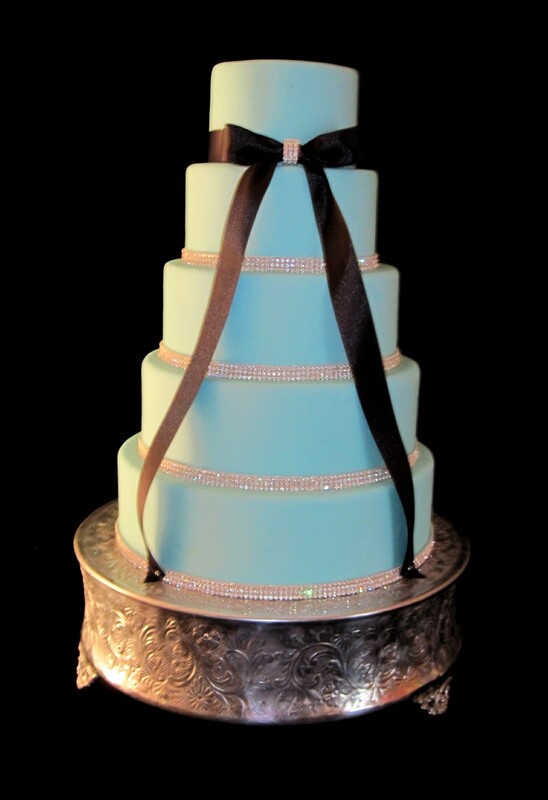 This stunning 5 tier tiffany blue fondant cake is adorned with a satin bow and long ribbon. Around each tier is a 3 row strand of swarovski crystals. To schedule a complimentary consultation, call The Twisted Sifter at 859-238-9393. This colorful polka dot and gerber daisy cake is iced in vanilla buttercream and decorated with fondant polka dots and monogram. 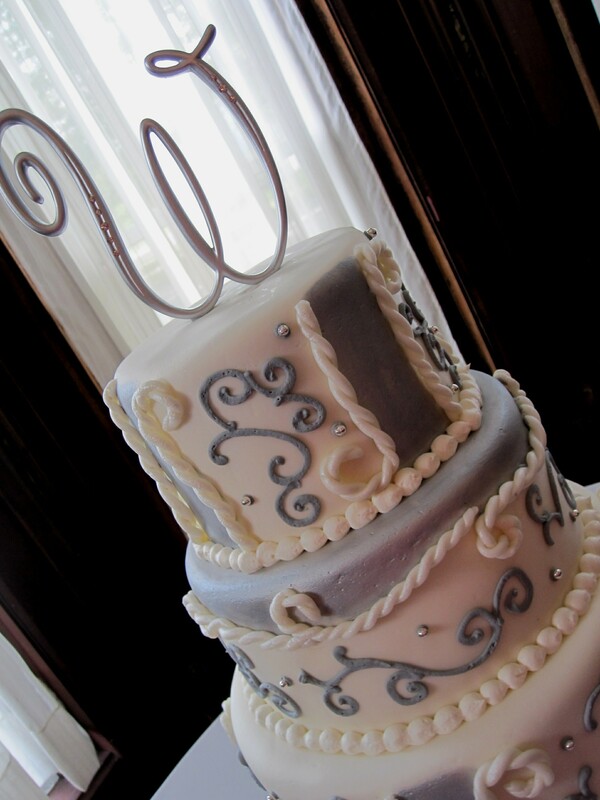 To schedule a complimentary consultation, call The Twisted Sifter Cake Shoppe at 859-238-9393. This beautiful, white, hexagon, fondant cake was created for a woman’s first ever surprise birthday party. 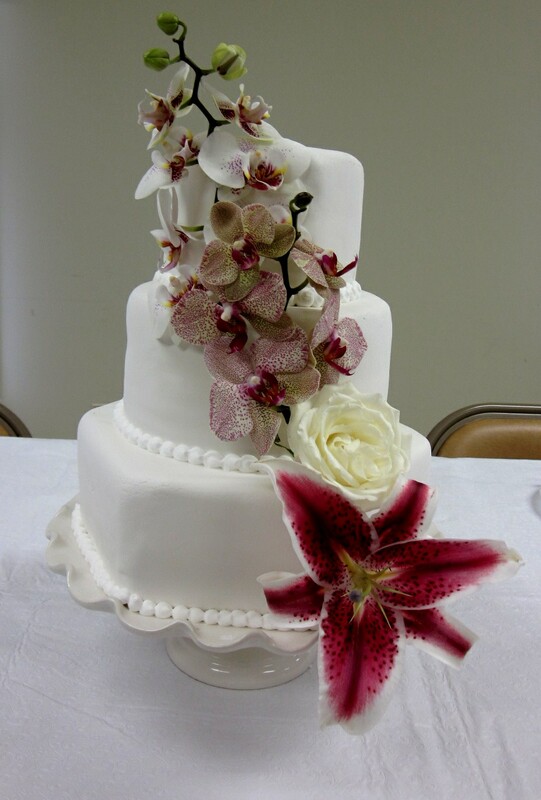 The cake is covered in a white marshmallow fondant and adorned with fresh Stargazer Lillies and Orchids.